Action Printing Ltd. also offers several services to create custom printed items for business and personal use. We offer bindery service to make your creative work look great. Bindery options include coil, comb, perfect, and hardback book binding. 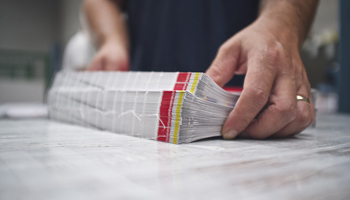 Other bindery services include scoring, perforating, folding, numbering, padding, collating, and sorting. From books to business reports, employee handbooks to photography portfolios, we can create any type of multi-page document, ensuring your work is displayed professionally. We also offer colour photocopying services. Whether you need a few or a hundred copies, our up to date photocopy technology can accommodate your needs. We can make copies of double-sided documents and have the capabilities to print on a variety of paper sizes. Get the copies you need quickly of your photos, tax documents, business letters, articles, and anything else you need. Action Printing also offers large format digital printing for your photographs, posters, banners, and more. Digital printing creates images of high quality, creating a professional look using the latest technology. Our large variety of equipment allows us to print anything required for your project. Whether you need to print a large photograph to add to your home’s décor, a promotional item for your business, or any other graphic image. Action Printing Ltd. offers invitation printing for weddings, anniversaries, birthdays or other special events in your life. These include announcements and save the dates as well. We offer a variety of script fonts, block letters, and type layout options, along with and endless variety of graphics and options for photo placement. Make your special day even more memorable with custom invitations in a variety of sizes including 4” x 8”, 5” x 7”, and 6”x9”. Our graphic design experts will work with you to ensure the final design is exactly what you’re looking for. 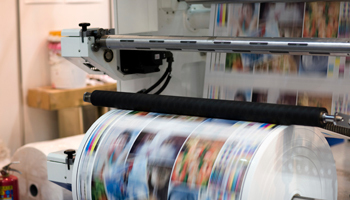 Our printing services in Prince Albert also include laminating which creates durable, reusable documents from items printed on standard paper. We can laminate anything from menus to checklists, posters, instruction sheets, and smaller items such as business cards, passes, and name badges. This process is completed quickly and easily, with sheets custom sized for every printed item. Choose from 3, 5, 7, or 10 millimeter thicknesses for the level of durability you need. For the best printing services in Prince Albert, stop in at Action Printing Ltd. and work with our staff to fulfill the services you need with quick turnaround times and the highest quality results.